The Christmas tree was unvieled today in Claridge's Hotel in London. 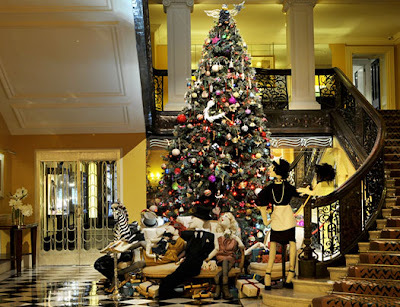 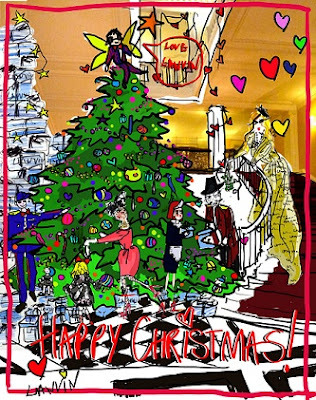 The last two years the tree was designed by Dior's John Galliano (post on last year's tree), but due to the racist controversy, my favorite designer of all time, Alber Elbez of Lanvin jumped into the picture and created a magnificent Christmas tree. It will be on display for people to watch until January 2nd, 2012.